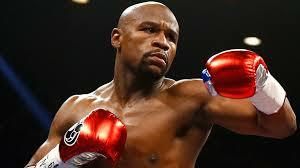 American boxer Floyd Mayweather Jr is rich. Very rich, in fact and he has been ranked as the world’s highest-paid athlete by business magazine Forbes for four consecutive years since 2012. 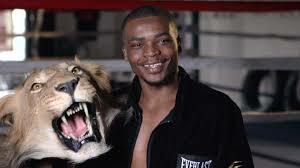 The latest possible beneficiary of his ‘money kingdom’ is none other than Ugandan boxer Sharif ‘The Lion’ Bogere. The former Uganda national captain has been signed by Mayweather Promotions with an opportunity for a major title fight fast approaching. In a statement seen by EagleOnline, Mayweather says he is pleased to announce ‘the signing of exciting lightweight contender’ Bogere to his growing stable of championship-caliber fighters. Bogere (27-1, 19 KOs) has won his last four fights by knockout and is eager to return to the ring with the support of his new promoter, he is quoted as saying. “This is such a great day for me and an important move for my career. I’m very thankful to Floyd, Leonard, and the whole Mayweather Promotions team. I cannot wait to get back in the ring and show everybody why I’m a future world champion. 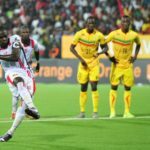 I want to fight the best and I feel this will put me in a position to conquer the sport,” Bogere added. 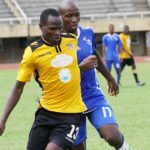 The former Bombers captain is hoping to emulate the likes of Kassim Ouma, John Mugabi and Ayub Kalule – all ex-Ugandan world champions. Mayweather Promotions boasts over 20 professional fighters including current and former world champions Badou Jack, Mickey Bey and Ishe Smith, in addition to the recently retired 12-time world champion and President of Mayweather Promotions, Floyd Mayweather. 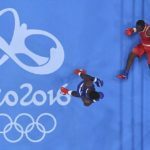 Meanwhile, the last bunch of the Uganda National Boxing team left yesterday ahead of the Africa Olympic Qualifiers in Yaounde, Cameroon between March 9-20. The Bombers team is comprised of Ronald Serugo (flyweight), Muzamir Mutyaba (welterweight), Athanus Mugerwa (bantam), Suleiman Segawa (lightweight), Kenneth Katende (light heavyweight) and Mike Sekabembe (super heavyweight).